A small mod to control ore generation, chunk population and biome decoration. 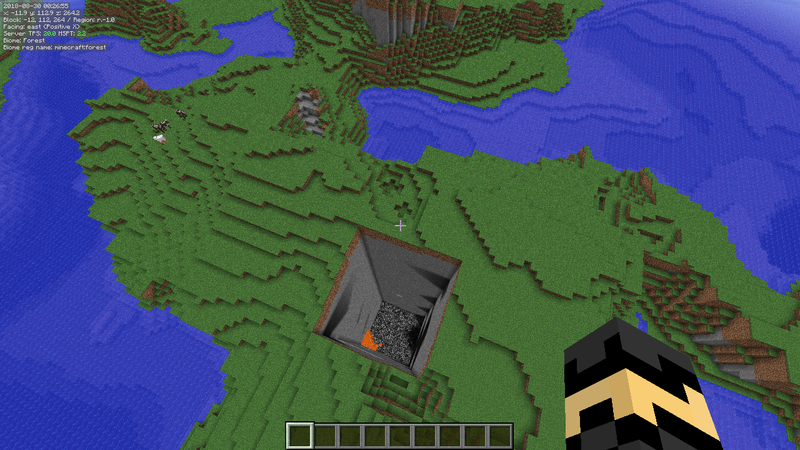 In the config file you can individually set which ores or terrain features are not allowed to generate in the world. For ores, this includes Dirt and Gravel pocket generation inside stone, and Emerald ore and Silverfish blocks in Extreme Hills biomes. Additionally, in 1.8+ you can also individually disable the new stone types (Andesite, Diorite and Granite). For decoration stuff, you can disable all the things like tall grass, trees, mushrooms, flowers etc. The decoration and population control was added in version 0.4.0. In the same version, support was also added for per-dimension configs. The per-dimension configs always override the main config for that dimension, if they exist. Note: Emerald Ore and Monster Egg (= Silverfish block) generation are not part of the regular ore generation. The OreGenEvent.GenerateMinable event was added for them in Forge 11.15.0.1618 for MC 1.8.8. Ore Control 0.3.1 is the first version which uses those events for disabling Emeralds and Silverfish blocks. In older versions of the mod they get handled separately, by replacing any Emerald Ore and Monster Egg blocks in the world with Stone in the PopulateChunkEvent.Post event, aka. after the chunks get populated during world generation. Re-hosting the mod file is not cool, mmkay? Can we disable wuth this Ore Control mod in Biomes O Plenty biomes 1.12.2 few plants? I mean green mushrooms and any other similar plants, what we can't diasble. Unfortunately there is no way for this mod to selectively support any particular modded generation in a generic way. The only way to do that would be to remove them after they generate. Hmm, do you mean, if the world generated with Biomes O Plenty, then after from that world can i remove few plants (like 1-2 kind of mushrooms, leaves on the ground) with this Ore Control mod in the config? Not at the moment, but I could add a new config option that would basically remove stuff when the chunk has just been generated/decorated. But I think there are also some other mods that can already do that kind of stuff, but I don't know their names unfortunately. If you want to remove certain block types from an already generated world, then the World Utils mod can be really helpful, as it allows removing or replacing certain block types in the entire already generated world. Oh, i see. And no, i don't want to delete, or replace blocks, as i said, i would like to delete few kind of mushrooms, leaves from Biomes O Plenty without them the generated world. As i know, the mushrooms and flowers are not blocks. Or am i wrong? They are blocks. Anything in a Minecraft world is either blocks or entities (or particles which are a special lighter form of an entity). And entities are mostly things that can move such as mobs or projectiles, or otherwise don't make sense to be blocks. I see, so the items, like flowers, mushrooms are counted as blocks too. They are blocks in world, just like stone or dirt. They only become items when you break them (and while broken/on the ground as items in-world, they are actually item entities holding the item). Ok, i got it, thank you the infos. Using an override for dim0 with BoP. Population section works. Decorate section is ignored. Also might want to add documentation... I have no idea what disableLAVA does. Does it disable surface lava? Those random lava sources in caves? Underground lava lakes? What is NETHER_LAVA2? How does it differ from NETHER_LAVA? Is it just BoP decorations that ignore it, or do vanilla decorations also happen although disabled in the config? The population and decoration configs are generated from the Forge enums automatically, so whatever is there will be added to the config... But I'll look through where they are used and add that documentation on this page at least. Setting populate lakes to disabled seems to work, but not the decorate ones. Maybe I'm misunderstanding what each one does. Why do both sections mention lakes and lava? What does each one do? Shrooms setting didn't seem to work, but it's actually a Thaumcraft biome I was noticing them in, so maybe it's forcing them. Okay so looks like the LAKE_LAVA and LAKE_WATER names in the decoration enum are misleading. Those are actually the single-block lava and water sources, that need to be otherwise completely encased in stone, but exposed to air on one side horizontally. In the population enum the LAKE and LAVA are the normal small water and lava lakes in the overworld, both surface and underground lakes are generated by that same code. NETHER_LAVA and NETHER_LAVA2 are the nether single block "troll lava" pockets, the difference is that the first can be exposed on one side or the bottom (so it's the lava falls pouring from cliffs or the ceiling), whereas LAVA2 must be completely encased in netherrack. And all of these settings in Ore Control are for the Forge events. If a mod doesn't fire the event or respect its cancellation, well, then it would just generate stuff anyway. I guess I could add a separate setting for removing any configured block type after the normal generation phase is done. this seems to not work at all on 1.12.2, and i am basing my modpack around nonstandard obtaining of everything later-game than stone. He is the only correctly turns off the generation of emeralds ore. But I still need to completely turn off the generation Nether Wart. 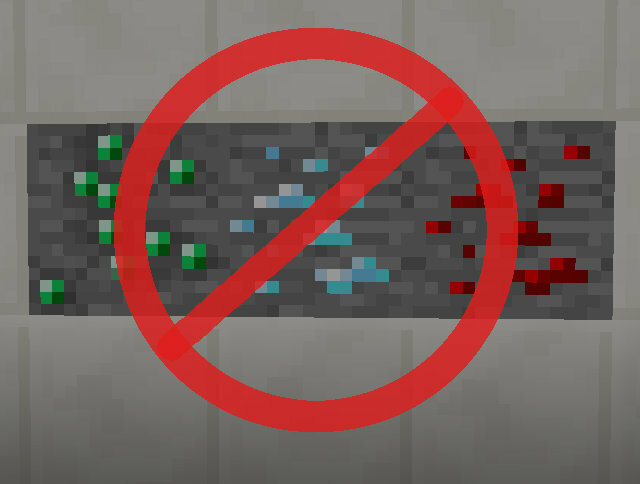 Hi, does this mod allow to disable iron,coal,diamonds etc? How do i do that? Yes, simply change any of the ore generation options in the config that you want to disable.